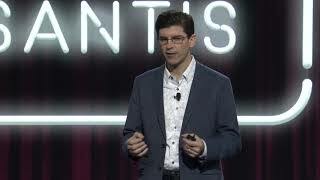 Brian Mathews, VP of Platform Engineering at Autodesk, demonstrates the power of generative design, which mimics nature’s evolutionary approach to design using cloud computing to explore all the possible permutations of a solution quickly. Autodesk relies on high performance computing on AWS to scale its solutions. This is my vote for the best talk at re:Invent 2017. Well delivered and incredibly profound.